A Speech-Language Pathologist (SLP) works with people who have experienced a Traumatic Brain Injury (TBI). Most often, a TBI occurs during a car or motorcycle accident. One can also occur in near-drowning accidents when the brain is deprived of oxygen. During recovery, the SLP’s focus is on the patient’s communication. SLPs also focus on muscles of the face, throat, and mouth. Often, the brain injury affects the basics of facial expression, chewing, and swallowing. For these reasons, the speech goals for TBI patients include more than language. They include cognition, speech, and the throat as well. Memory plays a vital role in all these things. An SLP may incorporate therapies to improve memory as part of the brain injury recovery plan. The following are seven ways that speech therapy can be part of a TBI patient’s brain injury recovery. We will focus on the therapies that are ongoing after the physical injuries have healed. A brain injury that damages the nerves in the brain that control muscles can impair speech. A patient may slur his or her speech. Or, the speech sounds can be slow, too soft, or sound muffled, like a mumble. 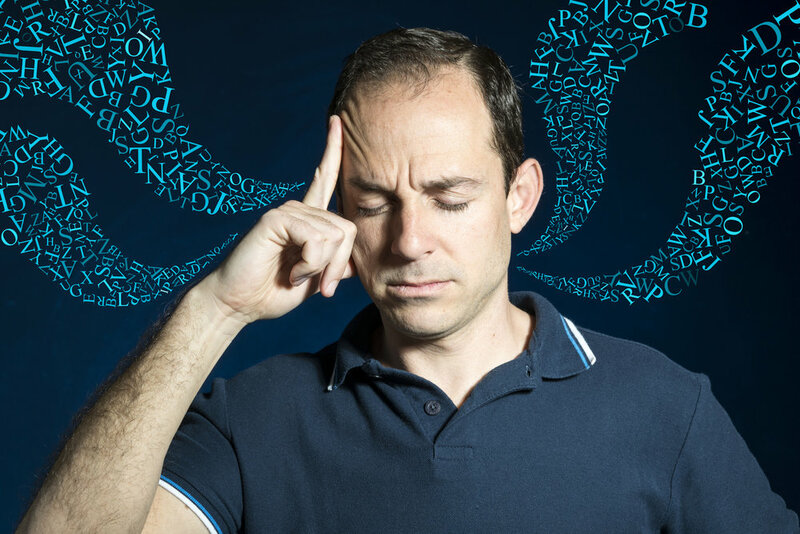 The American Speech-Language-Hearing Association (ASHA) calls this condition dysarthria. The speech therapist’s goals involve improving the patient’s “speech intelligibility.” Therapies include exercises to coordinate lip and tongue movements, improve breath support, and increase muscle strength in the mouth, jaw, tongue, and throat. Another condition common to brain injury recovery is apraxia. Patients have difficulty with sounds and syllables. They know what words they want to say, but have trouble sequencing them. They can’t form the words. The speech therapist’s goals for apraxia involve exercises to slow the rate of speech and pronounce words correctly. If the condition is severe, the SLP may introduce an alternative or augmentative communication device. Such devices can range from simple picture boards to digital communication systems. SLP will train the patient on how to use the system. Memory goes hand-in-hand with speech and communication. A speech therapist often introduces memory aids to help build language for the brain injury patient. Memory aids include a memory log, calendar, documented schedule, or a log (digital or on a smart device) of important addresses and phone numbers. The SLP takes the time to train the patient on how to use these tools to enhance memory. With practice, they help the patient build competency as well as language. According to ASHA, people with brain injuries may need to learn ways to keep up with conversations. They may need to relearn how to interpret nonverbal signals such as body language and facial expressions. They may even need to learn how to respond to continue a normal conversation. When speaking, the patient with a TBI may not show expression. His or her voice may not have the expected effect. Strengthening social language can help the patient compensate for other speech problems they have like intelligibility. Patients can learn to compensate with facial expressions, eye contact, and gestures to improve their communication. Speech therapists often work with patients in small groups to build these social language functions. Part of communication means being able to attend to information and remember what others have said. People with brain injuries may have difficulty with attention and short-term memory. They may find it difficult to process new information. As part of their brain injury recovery, they may also need to learn strategies for planning and organizing their thoughts. Rehearsing information improves cognitive processing. Eventually, individuals need to return to work, school, and daily life. They need to be able to ask appropriate questions, focus on tasks, and recall names and numbers. When performing steps to any given task, they need to be able to recall the proper sequence as well as any safety precautions. A speech therapist incorporates these goals into the treatment plan. The SLP addresses these needs as part of the medical team supporting a TBI patient’s brain injury recovery. The SLP focuses on helping the patient maintain attention for basic activities. Speech therapists can teach the patient learning strategies to help problem-solving, reasoning, and organizational skills. One of the main goals is to reduce confusion as the patient attempts to process various stimuli in their environment. Speech therapists can organize guided community outings. The patient will, with help, plan, organize, and take short trips. SLPs may introduce various support aids to help. Such aids could include organizers, checklists, memory logs, and the like. Teaching TBI patients compensatory strategies means focusing on the patients’ remaining skills and maximizing them. In this way, they can focus on their strengths and use them to overcome the speech and/or communication deficits caused by the injury. SLPs accomplish this by either modifying the patient’s environment or providing them with some kind of support. This support can be internal, such as using mnemonics or imagery association to recall words. Other options are using memory aids like calendars and smart devices to help support memory. SLPs may suggest and then train external strategies that involve assistive technology. These strategies can support several impairments related to attention, navigation, time management, and so on. Persons with a traumatic brain injury need ongoing support. The speech therapist plays one role among many on the patient’s road to brain injury recovery. Traditionally, speech therapy happens face-to-face. Though, online services are available. If you have any questions about speech therapy after a TBI, or questions about online speech therapy, please contact us.